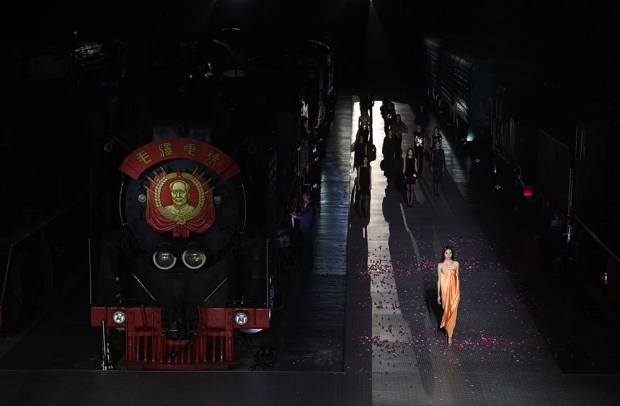 Models walk next to a train bearing the image of late communist leader Mao Zedong during a fashion show at the China Railway Museum in Beijing on October 20, 2015. This week’s Sinica podcast was recorded last month during a special live event at the Bookworm literary festival, where David Moser and Kaiser Kuo were joined by Jeremy Goldkorn, fresh off the plane from Nashville. Topics in this podcast: Beijing lifers and how the city has changed over the last two decades. If you’re a long-time listener, be sure to check out this unusual episode—recorded in front of a live audience. This is part one; the second half will follow.